Thrill seekers and roller coaster enthusiasts will be glad to know there's a new kind of ride in the Smoky Mountains! It's called an alpine mountain coaster. 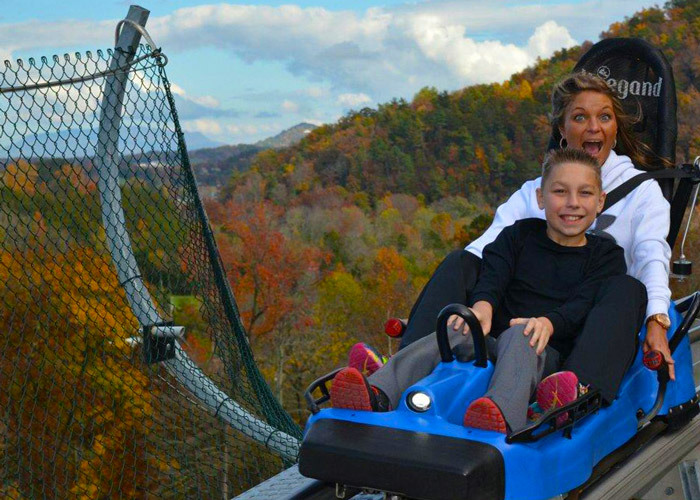 This innovative ride is built into the side of a mountain, so you can literally ride the dramatic topography of the Smokies! The Coaster at Goats on the Roof is only a short drive from Pigeon Forge and it features one of the best thrill attractions in the area. This alpine mountain coaster first takes riders up to the summit of a 1,800 FT mountain. On your way down, you'll get to see mountain views and a beautiful forest landscape. A hand lever on each cart allows control your speed with you to go as slow (or as lightning fast) as you want! 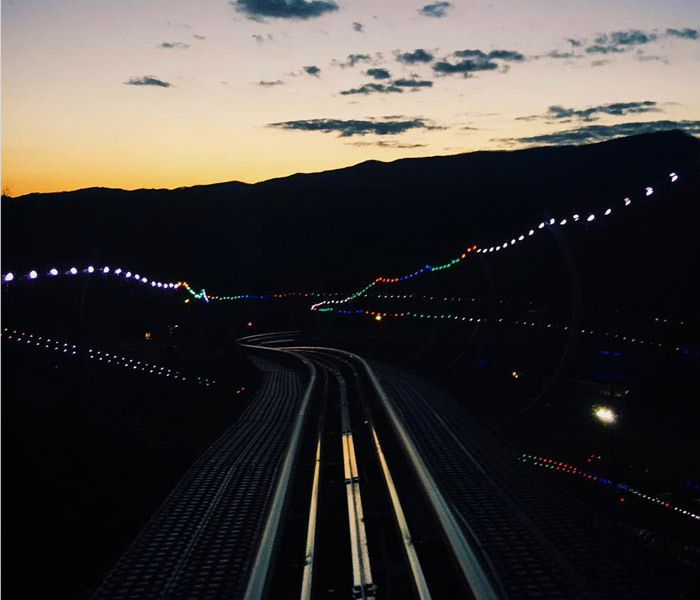 This 4,375 FT track allows guests to coast down the mountain at speeds just under 30 mph. The sleds can also accommodate one or two passengers, so you can enjoy your ride with a friend! The helpful and knowledgeable staff also makes safety a priority. In addition to carefully instructing riders with rules and instructions to ensure their well-being, The Coaster at Goats on the Roof also employs a safety measure called a "distance control system." This automated system causes bob carts to slow to a stop whenever they come within 80 FT of each other and practically eliminates the chances of a collision. The coaster track is open year round and can operate in the snowy winter months or the beautiful fall season. Additionally, this mountain coaster offers a lit, night-time ride its open until 11 pm in the evening. Here's a preview of what to expect when you visit The Coaster at Goats on the Roof! Just as advertised, The Coaster at Goats on the Roof actually has goats on the roof. During your visit, you can interact and feed these playful animals. Visitors can also enjoy mining for rare rubies and sapphires at this attraction's gem mine! If gem mining isn't your thing, you can always hunt for a unique Pigeon Forge souvenir in this attraction's gift shop. After a day of fun, you can spend some time kicking back in a rocking chair with some homemade ice cream or fudge! The Coaster at Goats on the Roof is open daily from 9:00 AM to 11:00 PM year round. The ride can operate in a variety of weather conditions, but may close temporarily for thunderstorms or other severe weather. Be sure to check out this new kind of attraction on your next trip to Pigeon Forge!